There have been many technology advances that impact the practice of medicine over the last several decades. Everything from improved digital imaging options to electronic health records has changed the way that doctors and patients work together to get better health outcomes. However, the rise of telemedicine as an option for patients is poised to change the way that practices compete for customers in a way that no other technology has ever done. Competition from retail healthcare outlets has been a concern for many practices for some time. The addition of a telehealth element makes that option even more compelling for patients and threatens to erode patient loyalty if practices don’t keep up with the preferences of today’s healthcare consumers. Despite the fact that virtual doctor’s visits are a relatively new phenomenon, awareness of, and comfort with, the option are increasing for both patients and physician practices. 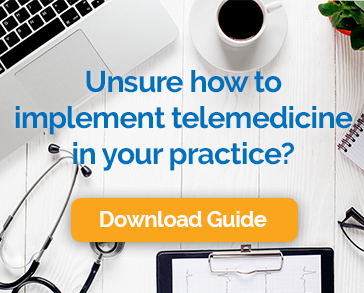 A recent study by the Healthcare Intelligence Network found that 74 percent of organizations were planning a telemedicine initiative within the next 12 months. In a separate study, Cisco found that 74 percent of patients are comfortable communicating with doctors via technology. The Walgreens announcement should serve as a wakeup call to practices that have been slow to embrace telemedicine technology. Consumers have many choices when it comes to their care. Practices will need to adapt if they are to remain competitive.